To say I am ecstatic would be an understatement. 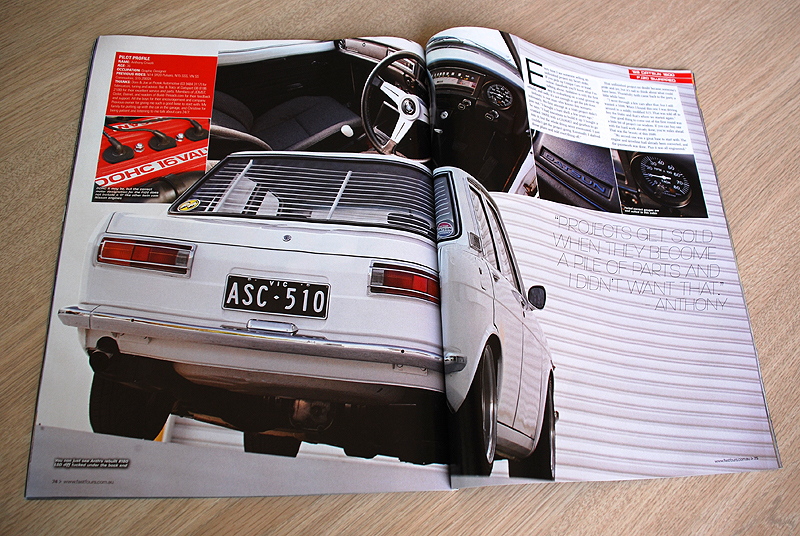 It was this very same magazine that made me fall in love with Datsun 1600s at the tender age of 12 years old, so to have my own car featuring in the same publication is a dream come true. 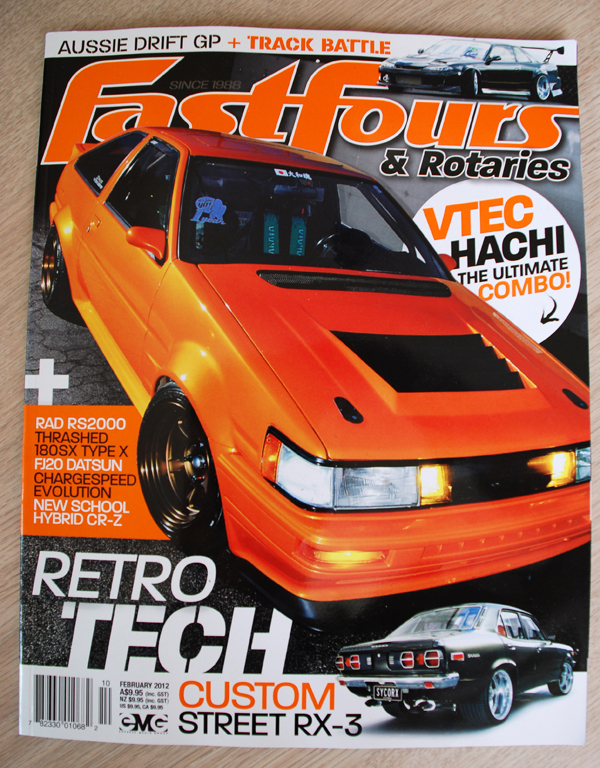 Maybe there’s another 12 year old out there who will read this issue and decide a 1600 is the car of his dreams, too? great work – keep on threading! 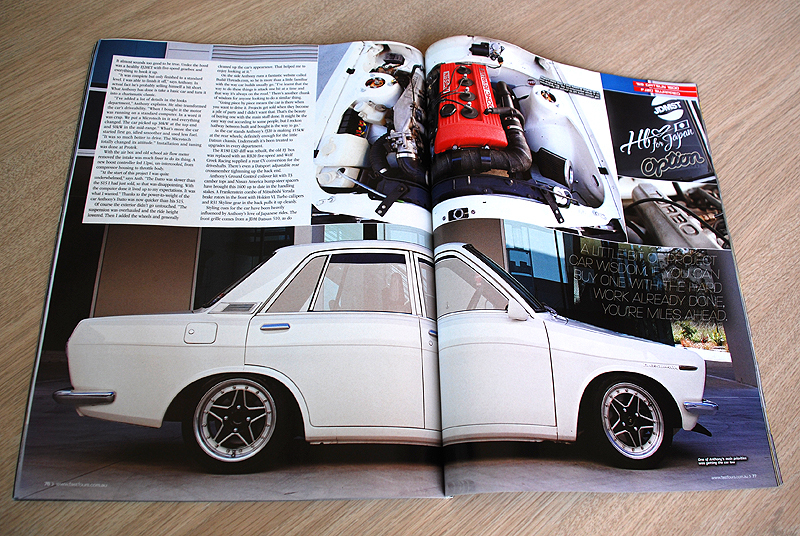 Car looks great in the mag. Its been sitting on my desk for a while and I had forgotten about it. 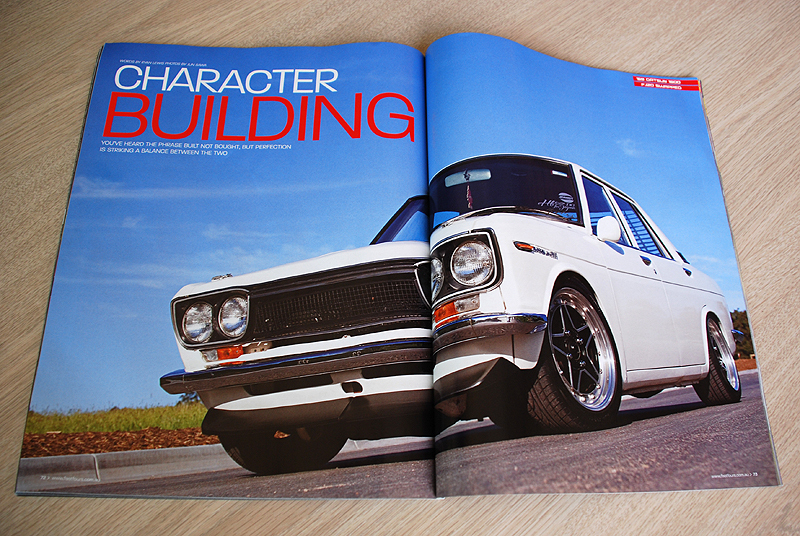 Should never have let my 510 go all those years ago.